Shelving Rock Falls near Lake George, New York. With April showers comes not just May flowers but the perfect time to photograph waterfalls. I recently came upon this excellent article with tips on how to photograph waterfalls called 7 Effective Waterfall Photography Tips by Australian Photographer, Ilya Genkin. Sure wish I had known about Ilya’s tips before photographing Shelving Rock Falls last year. If you live in Central or Western New York, visit my friends at Foot Print Press for their waterfall book with detailed directions to 200 waterfalls. Foot Print Press has other books on biking, hiking, paddling, walking and other outdoor activities around New York state. This entry was posted in Nature, Photography and tagged australia, book, Ilya genkin, new york, Photography, tips, Travel, waterfall. Bookmark the permalink. Thanks for all these tips, Scott. I’d like to do some exploring of that part of the state and a waterfall tour might be just the thing! You did well, even without knowing about those tips. We’ll be vacationing in NJ and NY (if all goes well!) this summer. I can’t wait! So many good things to look at. Thanks, Scott. You’re welcome, Gerry. Do you have waterfalls near Torch Lake? That’s a really nice shot, Scott! I liked the link too! Great site Scott, and thanks for the link to the waterfall tips, nice work here !! You’re welcome, Bernie. 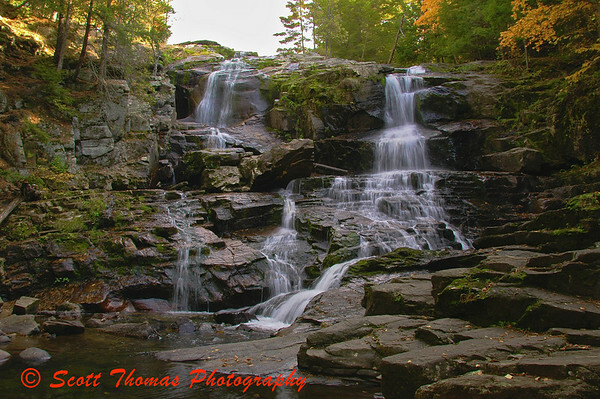 You have a great photo blog with some outstanding waterfall images of your own. Thanks for stopping by! Going to add you to my blogroll as I think many of my visitors would enjoy your work. Thank you, Anna. Hope to see a spring time waterfall photos from the Surface’s soon. 🙂 Yeah, I’m going to use some of these tips the next time I’m shooting a waterfall. I love the vibrant colors Ilya, Terry and Bernie get. Scott, There is nothing to complain about your shot. It’s real good to see people letting us know of some of the great spots in the wilds of NY. I don’t know how “wild” it is in NY but I will be exploring some of it over the months to come. You can bet there will be some waterfalls, too. This is a beautiful location. Beautiful shot so peaceful. Thanks for the waterfall photography tips.Nice photo and it is just nice to relax in this nature surroundings. Great shot as usual. I love waterfalls. What a perfect image! I really appreciate the tips on waterfall photography. Although there aren’t any where I live, I plan to visit several this summer. Thanks to you, I can be prepared. Thanks for the tips on waterfalls. Your picture is outstanding.